Employees stay at organizations for different reasons than they leave, and nearly every organization is unique in the reasons employees stay. Therefore, an effective employee retention strategy includes Stay Interviews, conducted in a manner to understand the workplace conditions that are presently driving retention and potentially driving turnover. 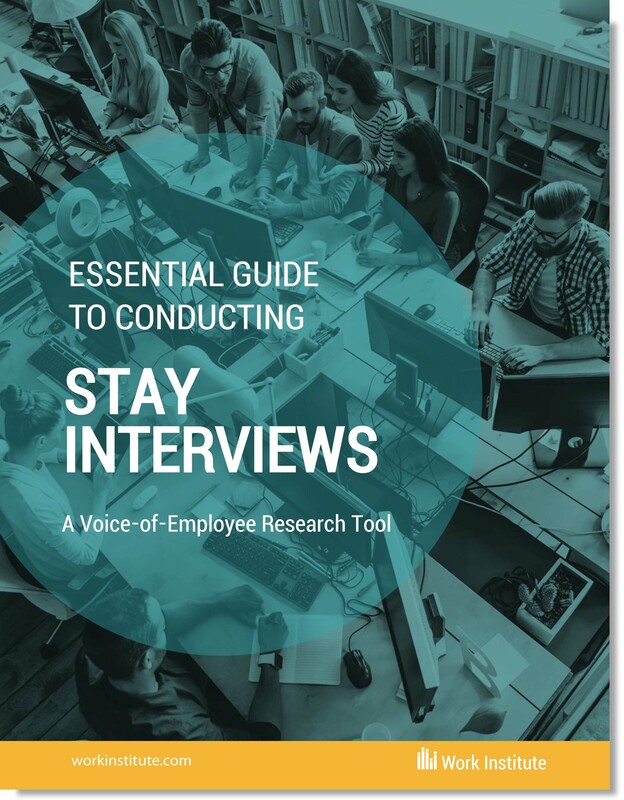 Stay Interviews, when conducted accurately, deliver insights to help improve retention by proactively predicting turnover and providing details to guide specific interventions to prevent turnover. Complete the form at right to download the guide now.